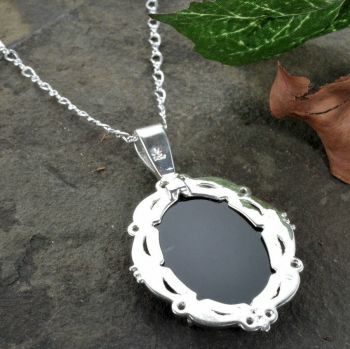 Description: A classic Victorian style white and black agate hardstone portrait cameo in a scrolling vintage designed sterling silver frame with Etruscan influenced granulated accenting. 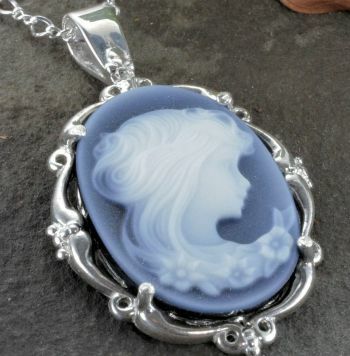 Containing (1) 25x18mm white and black cameo portrait of a Victorian lady with flowing hair. 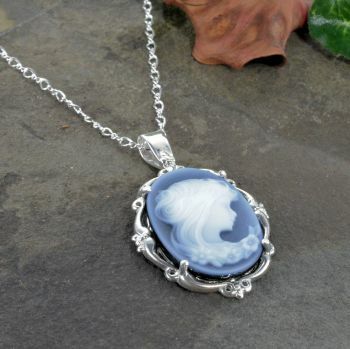 The cameo is mounted in a cast sterling silver scrolled frame suspended on an 18" figure eight link chain. 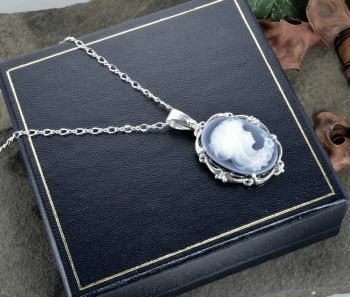 We provided this necklace which was used in the promotion of Vanessa Carlton's 'Heroes & Thieves' tour. 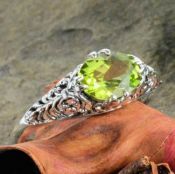 Measurements: The frame measures 1 1/2" in length including bail by 7/8" wide on a 2mm wide vintage style sterling silver figure eight link chain that is 18" in length. 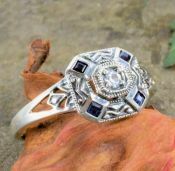 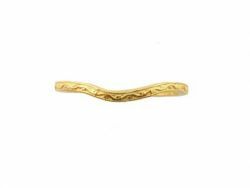 Shipping: Expect a�2 to 3 day turn around time to manufacture.